Burnish the Black and the Metallic Gold to make the patterns more intense. With White, burnish the gold areas to make it look shiny, and create the highlight areas. Add some Black to the cast shadow, leaving it layered so it has a grainy appearance. In general, it takes a shiny, burnished approach to create the look of polished brass. Because the surface of polished brass is so reflective, it is important to incorporate all of the reflections of light and color from surrounding objects. The difference between the two drawings on this page is that the spittoon is rounded with softer edges, and the teapot is angular with harder edges. The reflective lighting on the spittoon is more gradual because of the smooth curves of its surface, while the sharp angles of the teapot drastically change the reflective lighting. Burnishing is usually used to create the look of polished brass. There are many colors seen in the spittoon that come from the surrounding textures in the background, such as the wood grain of the table and the rattan texture of the chair back. 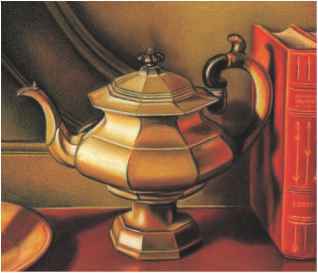 I love the variety of colors and textures in this still life, and the way the colors reflect off the brass teapot. The red tones of the books bounce off the right side of the pot, and the table's wood color bounces off its underside. This piece is also full of shadows. The light source is coming from the left side, so all the shadows bounce off to the right of the objects. 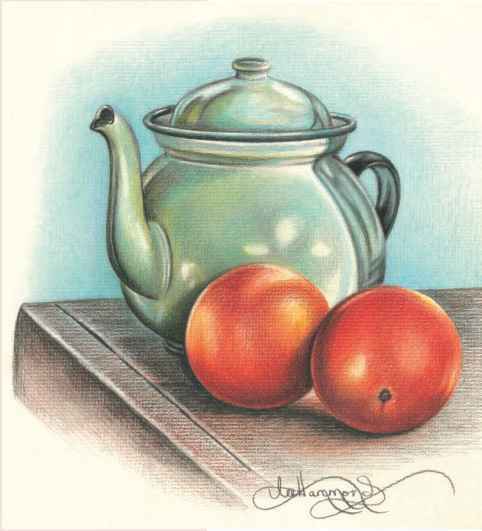 Study how the teapot's shadow moves across the table and up the side of the books. 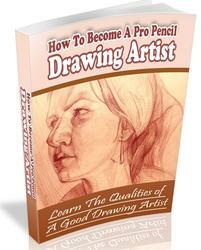 Before you begin to draw, always study the effects of light on your subject matter and the shadows it creates. How to make burnished brass color? 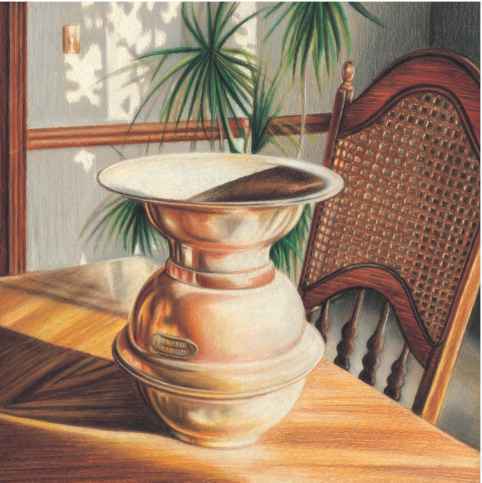 How to make a brass color with colored pencils?